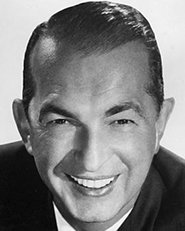 Percy Faith videos - old film reels that show Percy Faith and his orchestra performing. Only a few are currently available. Percy Faith audios - Audios created from Percy's CDs. More than 300 have been created by Sony Music Entertainment, although I don't know if they are viewable in every country. Presumably, advertisements provide compensation to Sony for artist and composer royalties. Fans also create their own YouTube videos (such as Summer Place '76) that feature picture slideshows. When Sony videos aren't available, I link tracks to fan videos. Bill Halvorsen has many other fascinating videos hosted on The Percy Faith Pages. They include a tour of Percy's home (with Bill and Percy's daughter Marilyn), recording sessions conducted by Nick Perito back in the 1990s, and clips from a recent Japanese concert conducted by Terry Woodson. Some of Bill's videos are on his homepage, others on subpages.